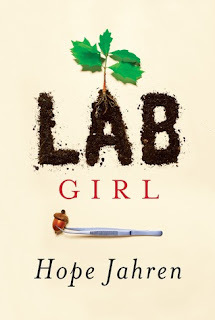 Description: Acclaimed scientist Hope Jahren has built three laboratories in which she’s studied trees, flowers, seeds, and soil. Her first book is a revelatory treatise on plant life—but it is also so much more. I'm not science-y at all, but this book still sounds fascinating to me. I've heard good things about it. Glad you enjoyed it. I'll definitely pick it up in paper book form one of these days. Thanks for the review! I've always been fascinated by science and heard things about this book, but your review makes me really want to read it. It's unfortunate that having an interest in science carries the stigma of being uncool.